Welcome to Swirlydoos' October Kit Reveal Blog Hop Block Party!! If you came here from Petaloo s blog, then you are on the right track. If not, go back to Swirlydoos' blog and start from there. We have some amazing projects for you to see today! Make sure to leave a comment on all of the blogs for a chance to win!!! Check out Swirlydoos on Facebook and Like Us!!! This is my first month as a designer for Swirlydoos and I gotta tell you, this kit is GORGEOUS! 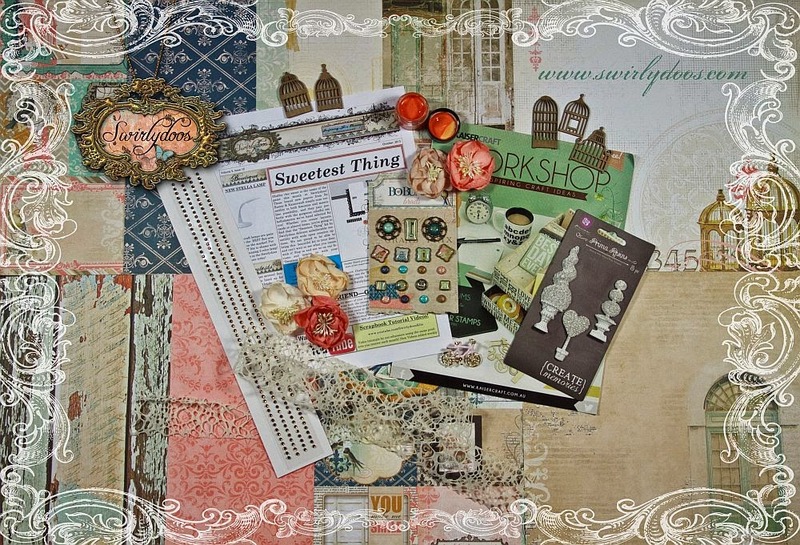 I love the new BoBunny Collections-The Avenues and Krissy did a phenomenal job, as always, pulling different papers and embellies into one cohesive kit! This kit is so versatile and you will see how everyone used it. Come back throughout the month and I'll share close up pictures and tip and techniques on each one of my layouts. Now, without any further ado, are my first projects using the Swirlydoos October Kit, The Sweetest Thing! My first layout is a wedding layout. This will be my last page in my wedding album (although I'm still missing another 5 pages). I just love this picture of hubby and I at the beach! I used a bunch of flowers from the Signature Flower Kit to frame my photo. For this layout I went with a more playful and bright aproach to the kit. My mother in law took this picture of my hubby and at Bahamas last May during our cruise and I just love it! I painted the trim included in the kit bright orange with the Silk paint included in the kit as well to add a pop of color. I also colored the topiary and tucked it into my cluster. I did a whole lot of water distressing on this page! This layout is based on this month's sketch. At first it was intimidating to use 3 pictures on a layout but after I started this page came together easily! I was having a particularly bad day this particular day that the pictures were taken and the title and journaling are very meaningful to me. I also colored the little topiary with the Silk paint from the kit and Smooch paint from my stash. 1: Visit all of the blogs and leave a comment on each. This way we know you were there. Become a follower if you're not already. Take your time. There are REALLY beautiful things to see along the way. 2: Before you leave each blog, look for the “special” words and write it down. Once you have visited all the blogs and collected all the special words, they will create a sentence. 3: Finally, go back to the Swirlydoos blog and leave a comment letting us know how much fun you had, tell us the sentence that was created with all of the special words you collected. Can't wait to hear from you. The party continues over at Luminarte's blog. Have fun! Awesome creations Amy! This is such a pretty kit! Awesome! Wow, that first page are realy amazing, love it! There is so much color, it looks beautiful. Love your beautiful creations with this kit! Love your bright and happy pages!!!! Love that you painted that trim! Beautiful pages! I love them .. thank you for sharing them with us! love the wedding picture...especially all the flowers. Such beautiful work with the kit Amy! 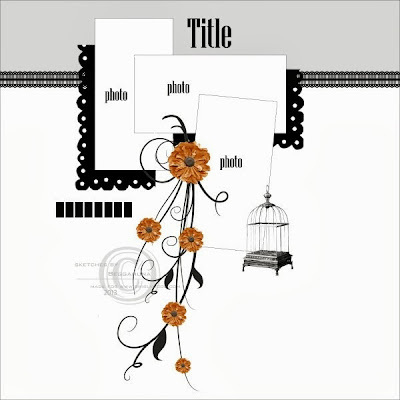 Awesome layering on your layouts. Just beautiful! Great colorful layouts Amy--awesome flower placements! Really pretty, the last one is very special. Wonderful layouts! I love how you colored the trim it looks GREAT and the topiaries are too cute! Congrats on designing for Swirlydoos. I bet your wedding album is full of gorgeous colorful pages with beautiful flowers and embellishments. Beautiful layouts. Great layouts...so pretty! Congrats on becoming a Swirlydoos designer! Love your take on the sketch of the month. Thanks for sharing. Fabulous projects love them all! Amy, your pages are just GORGEOUS! Love how colorful they are!!!! So happy to have you here at Swirlydoos! stunning layouts...love the Happily After layout which has awesome clustering of flowers adhered to it. You rocked this one, Amy! Congrats on a fabulous debut! Thanks for this blog hop. Your work is beautiful. I love your use of color. Beautiful work! Gorgeous bright vibrant pages! Beautiful work doll. Thank you for taking your time to comment on my blog!